A Cuban sandwich is not much more than a gussied-up ham and cheese toastie. Here three meats are pressed with cheese, pickles, and mustard until toasty and warm. Layering the Swiss cheese around the other fillings binds the sandwich together as the cheese melts. Three flavors of pork—sweet ham, savory roast pork, and funky salami—give the sandwich layered complexity. Doing it Tampa-style with Genoa salami gives this sandwich extra flavor compared to its simpler counterparts. 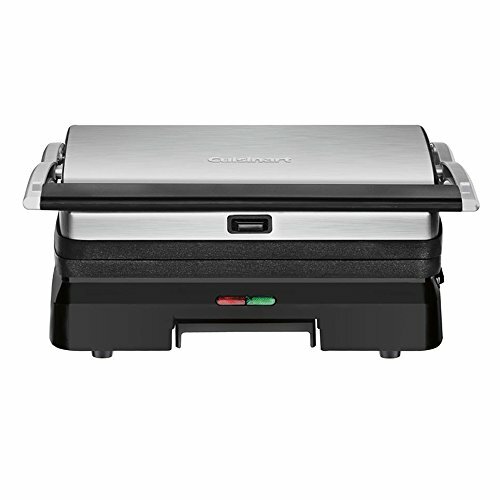 Butter top and bottom of panini press and press sandwiches with moderate pressure until crisp on both sides, about 8 minutes. If using a cast iron skillet or griddle, melt half of butter in pan and add sandwiches. Use a second pan to press on them as the first side crisps. When crisp, flip sandwiches, add remaining butter, swirl to coat, and continue cooking while pressing until crisp on both sides, about 10 minutes total. Slice sandwiches in half diagonally and serve immediately.